Microsoft OneNote is an information gathering and collaboration application used to gather notes, screen shots, to-do lists, drawings and other types of information. Business Computer Skills now offers Microsoft Onenote training classes in Hamilton, NJ. Get the professional training you need to take your Onenote skills to the next level. Whether you want to learn OneNote basics or become an expert on using the application, we have the right course for you. Microsoft OneNote 2016 Introduction Classes (Level 1) -- Our introductory Microsoft OneNote 2016 course helps students become familiar with the new OneNote 2016 program, and learn all the core operations of the program. Students will learn OneNote Fundamentals and gain proficiencies in the following areas: Adding Content to Publications, Formatting Text, Editing Text, Working with Graphics and Preparing a Publication for Sharing and Printing. This is a great class for those who need a refresher in OneNote 2013 or are looking to build fundamental skills in the program. Microsoft OneNote 2016 Introduction Training Courses. Microsoft OneNote 2013 Introduction Classes (Level 1) -- Our introductory Microsoft OneNote 2013 course helps students become familiar with the new OneNote 2016 program, and learn all the core operations of the program. Students will learn OneNote Fundamentals and gain proficiencies in the following areas: Adding Content to Publications, Formatting Text, Editing Text, Working with Graphics and Preparing a Publication for Sharing and Printing. This is a great class for those who need a refresher in OneNote 2013 or are looking to build fundamental skills in the program. 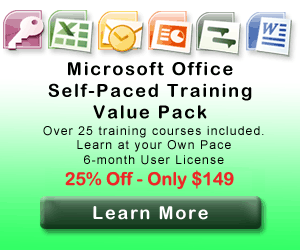 Microsoft OneNote 2013 Introduction Training Courses. Self Paced Online Onenote Courses: - Our Onenote online training classes are perfect for students who are comfortable with self-directed learning. The self-paced classes cover similar material as the instructor led courses, and are accessable to students 24-7 for a 6 or 12-month license period.